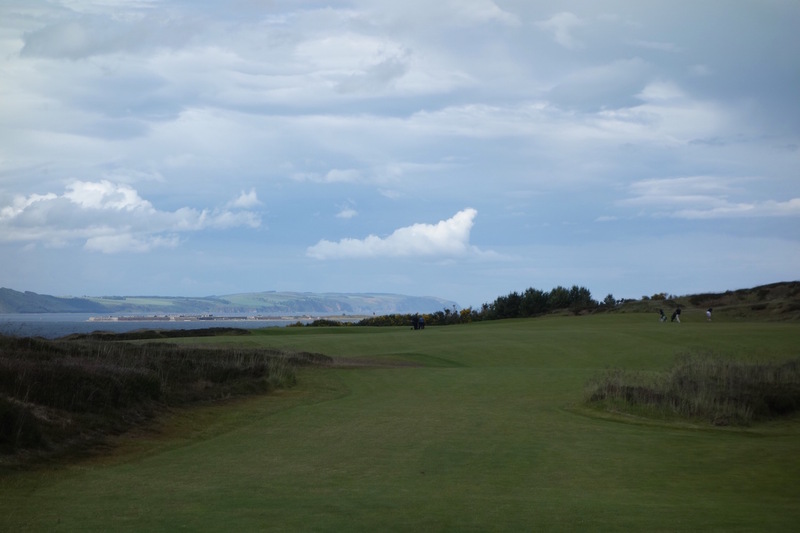 During my first visit to Castle Stuart I couldn’t see a thing. 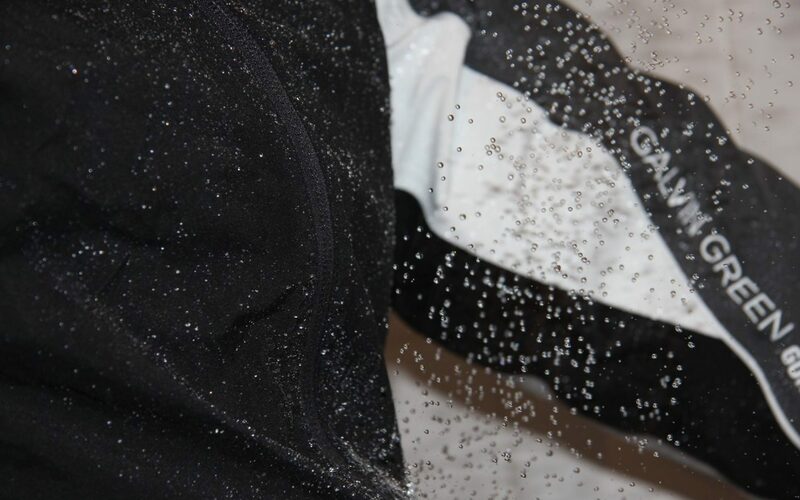 Heavy rain, hail, and fog blew through the area with only brief glimpses of daylight – and the course – to provide an idea of where we were going. Despite all that, I loved it. That first round was over five years ago and after patiently waiting, I recently played the course again – this time in perfect weather. 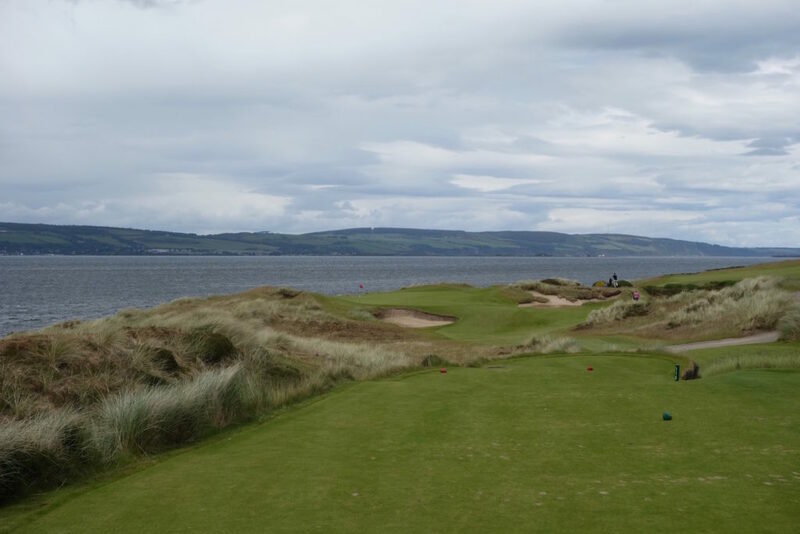 The round was part of a larger journey through the Scottish Highlands and Castle Stuart was the perfect place to wrap up the trip. The course opened in 2009 under the watchful eye of American developer Mark Parsinen. He hired Gil Hanse to design the course, but Parsinen was so involved that he is listed as a co-designer of the course. 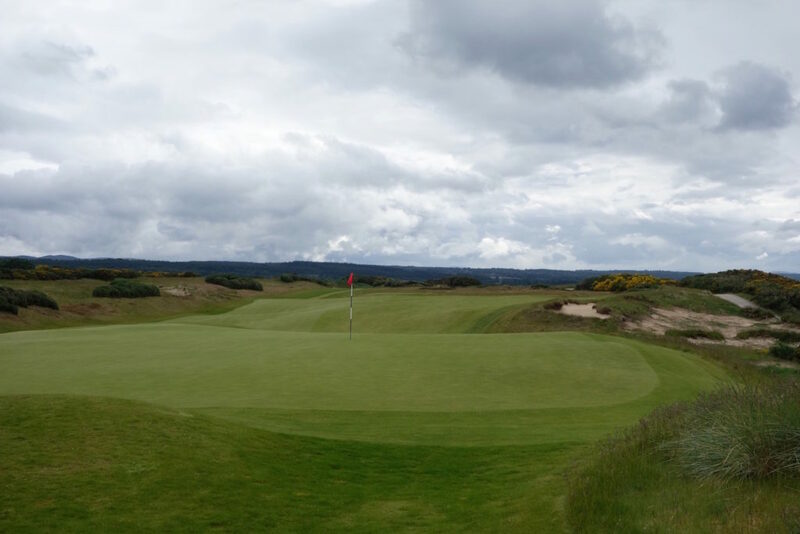 The duo created a modern links on an exposed hillside overlooking the Moray Firth at the base of the Scottish Highlands. 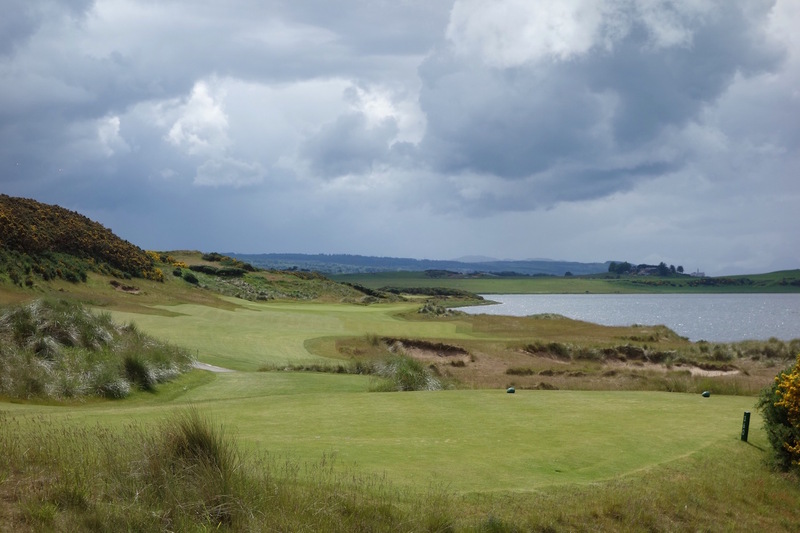 At the time of its opening, Castle Stuart was one of only a few modern championship-level links built in Scotland and the project was novel in a number of ways. Parsinen took a risk in building a course at the base of the Highlands. He trusted that if the course was good enough, people would make the journey to play it. His bet paid off and in a number of ways, Castle Stuart was was the key to rounding out the Highlands as a serious golf destination in Scotland. 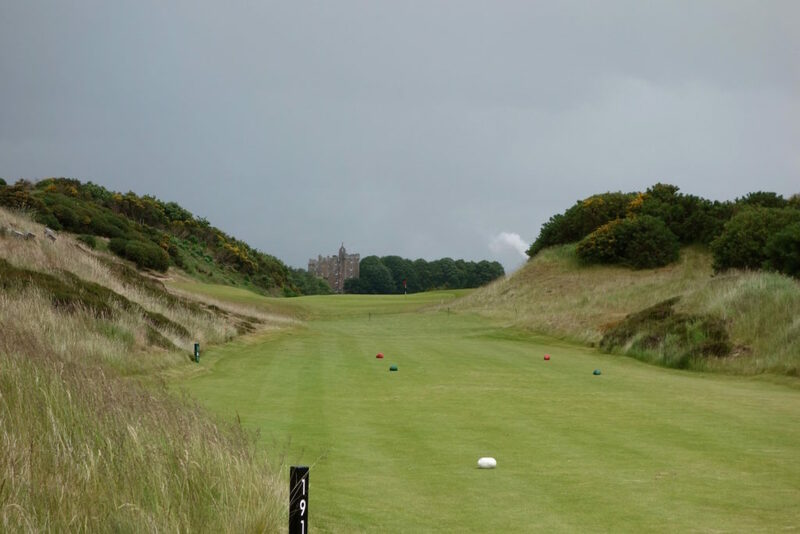 That’s not to say Nairn, Dornoch, Brora, Golspie, or Tain don’t carry enough weight on their own, but Castle Stuart provided another championship-level reason for golfers to stay up north. The course is laid out on two tiers overlooking the Firth. 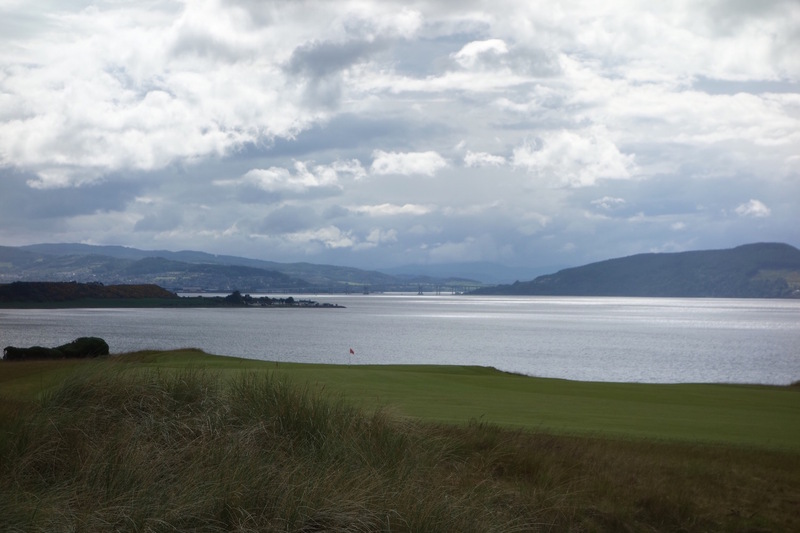 The lower holes are directly on the coastline and water laps at the edge of the tee boxes and fairways. The upper tier provides stunning views that get better and better throughout the round. 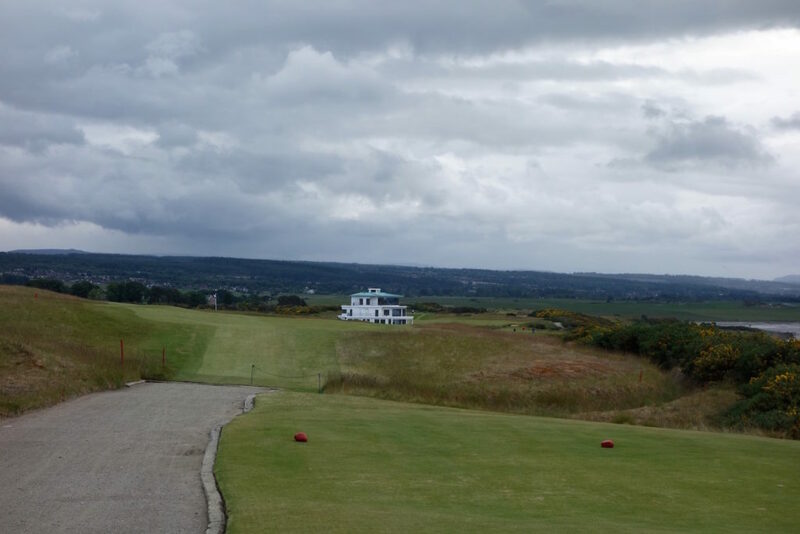 The course changes directions frequently, so there isn’t a “good wind” like you find on other links courses. 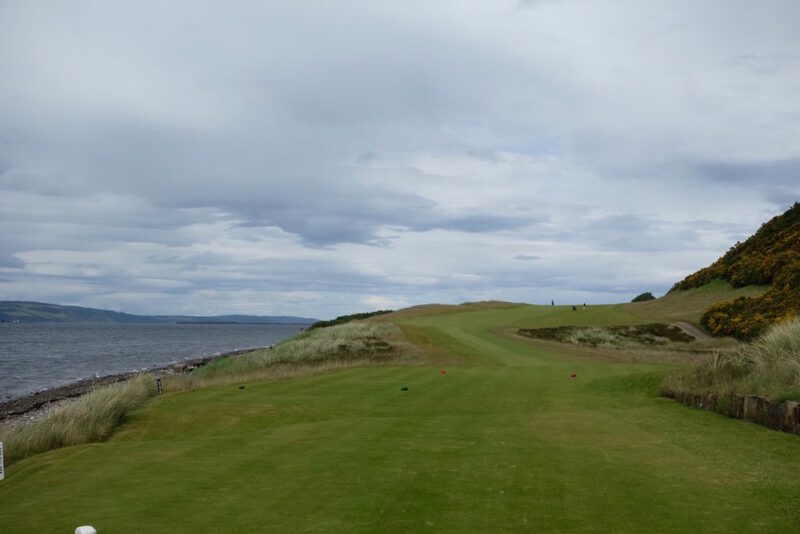 The fairways are wide, but there is always an optimal side of the fairway from which to approach the green. The greens are well-guarded and generally very large and sloping. 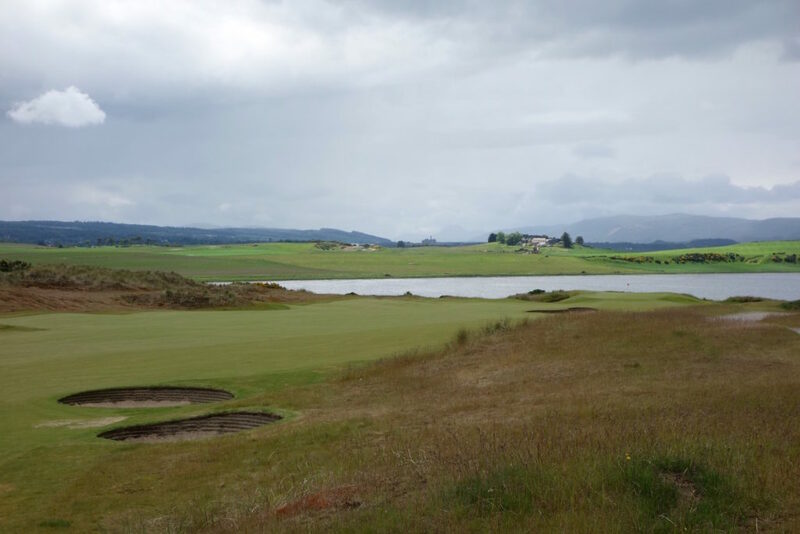 Depending on the teeing grounds, pin positions, and weather, the experience can vary widely at the course. 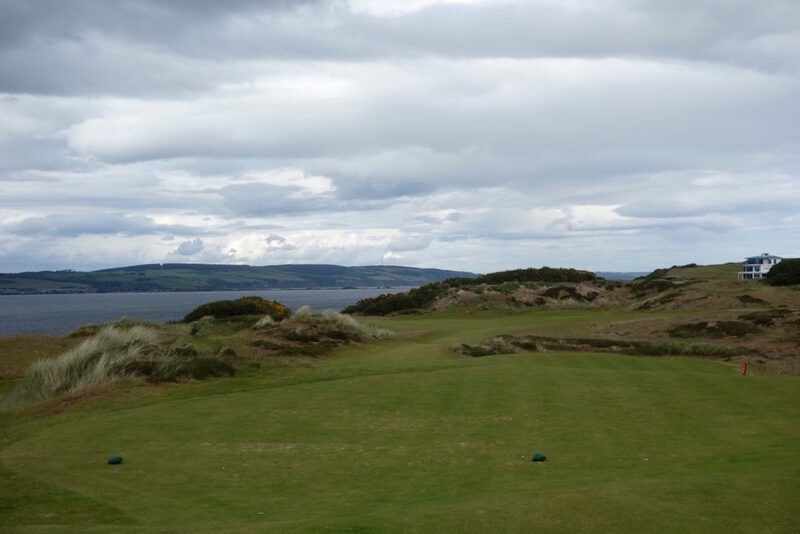 That’s one reason I love Castle Stuart and links golf as a whole – two rounds are never the same. 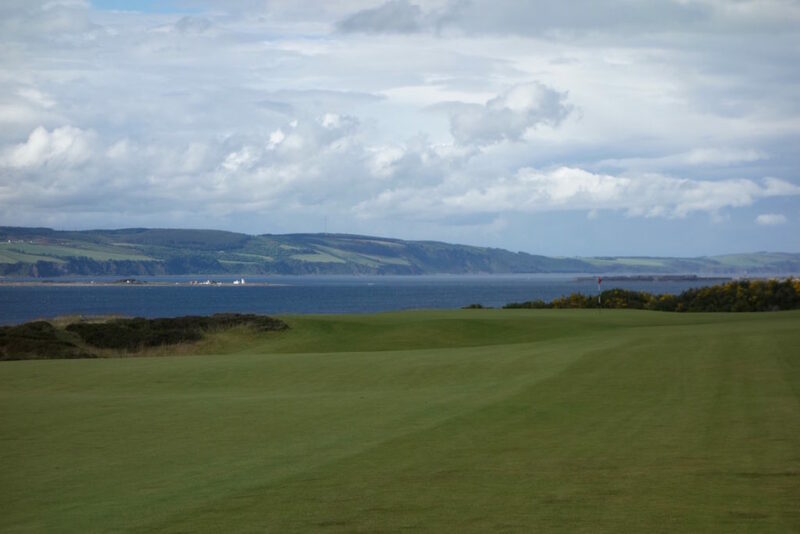 Castle Stuart is young, but it is surrounded by historic points of interest. Most notably is the course’s namesake, Castle Stuart, visible behind the fourth green. The castle was completed in 1625 and thrived for a period before falling into ruin. It was recently renovated and the castle’s open spire serves as the logo for the golf course. The other notable point of interest on the course is the Kessock Bridge that connects Inverness with the Black Isle to the north. The bridge is visible from most points on the course and generally you can see bad weather approaching from beyond the bridge miles away. When you can no longer see the bridge, it’s time to put on your waterproofs! 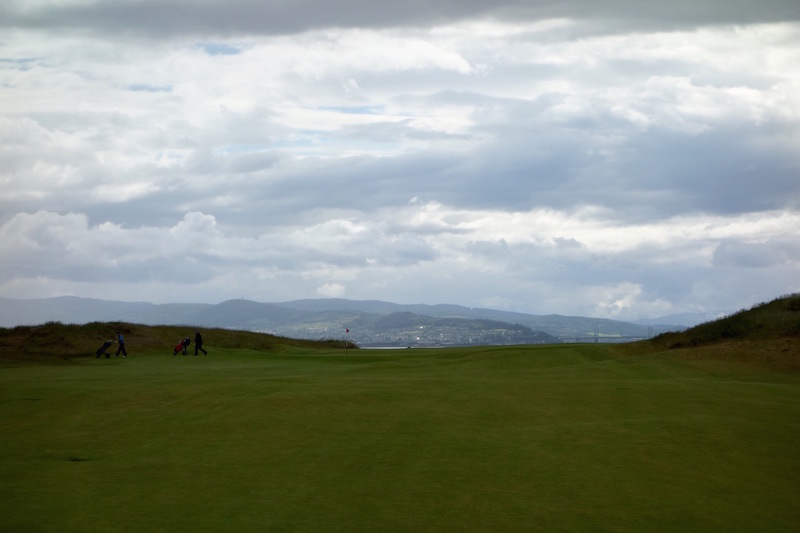 Hole #1 – 399 yards – The first hole eases you into the round. Err on the left side of the hole where the fairway kicks balls to the right. 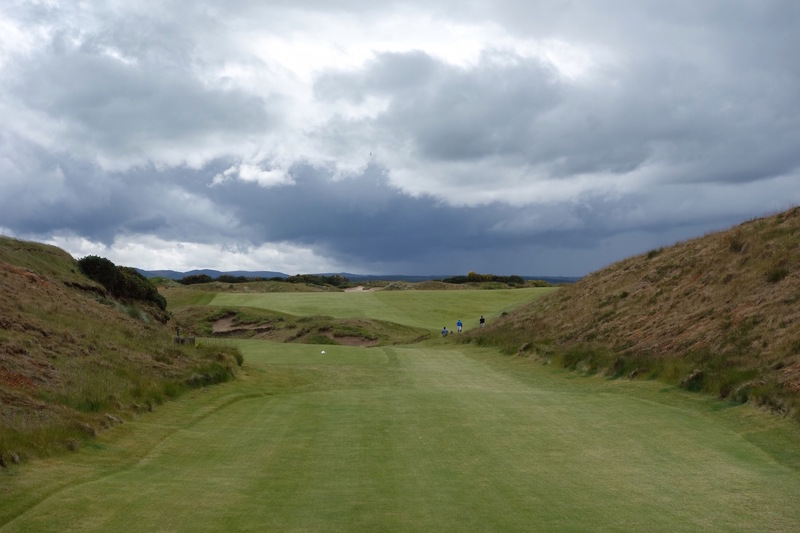 Hole #2 – 530 yards – The second has similarities to the first, but everything is kicked up a notch. The fairway is split by a grassy knoll and the raised green is guarded by thick rough. The coastline juts in and although it should be easy to keep the ball left, that water and thick grass sits in the back of your mind. 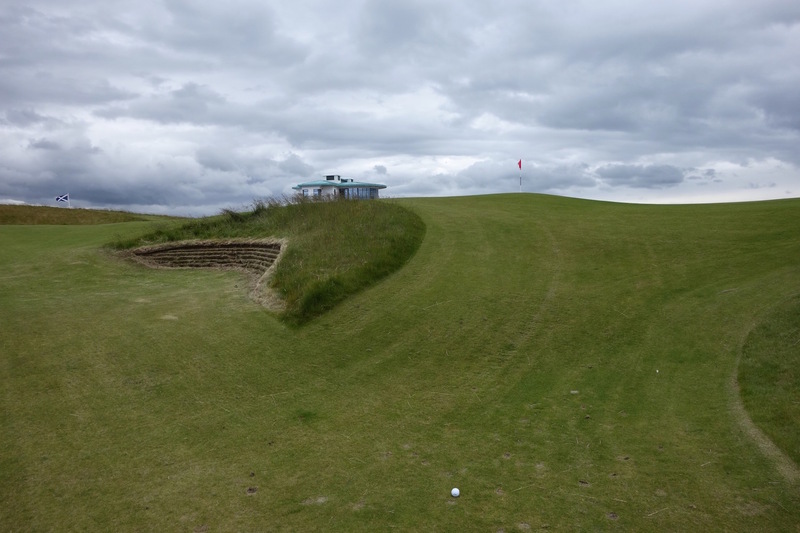 Hole #3 – 290 yards – This hole may be driveable for some, but it gets so narrow and tricky near the green that the smart play is to lay back off the tee. An accurate wedge is very important into this green because any miss is an tough up and down. 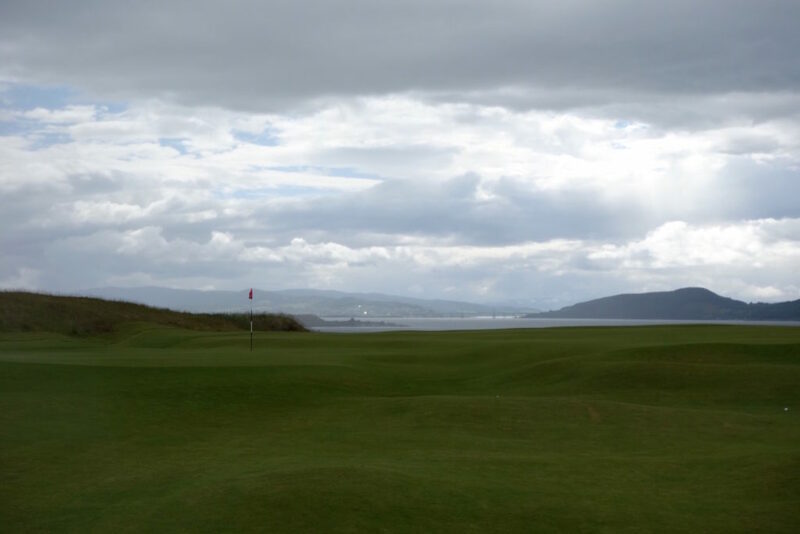 Hole #4 – 176 yards – You’ll recognize this photo from earlier in the review. 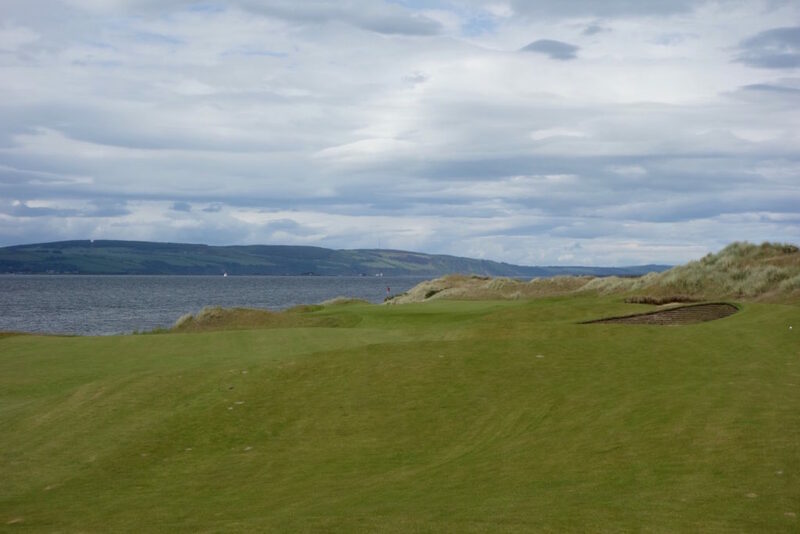 Castle Stuart sits behind this multi-tiered par 3 green. 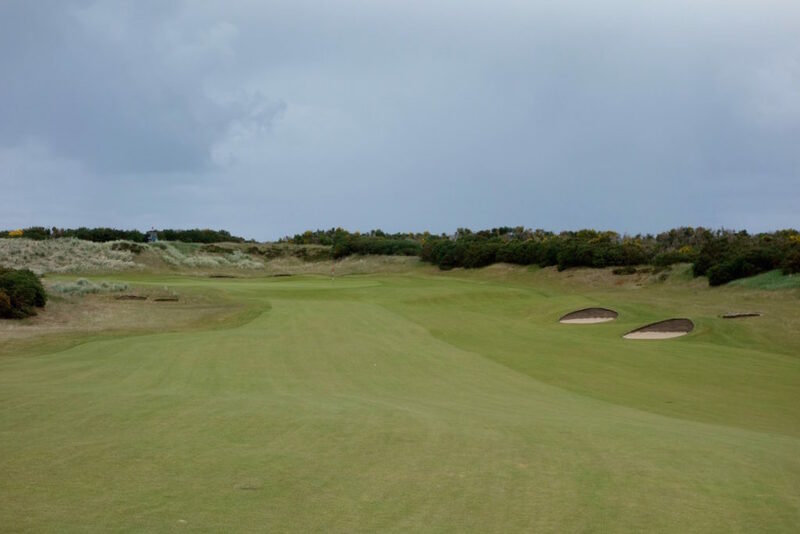 I love the “corridor” feel of this hole with the dunes and gorse rising on either side. 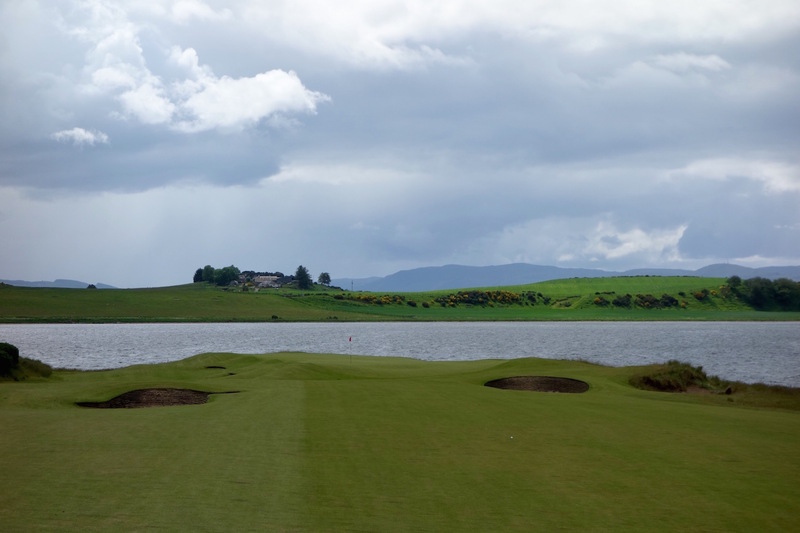 Hole #5 – 430 yards – The 5th is one of the furthers points from the water. The gently curving par 4 tee shot initially looks intimidating, but the fairway is much wider than it appears from the tee. This is one of my favorite par 4s on the course. Hole #6 – 522 yards – Heading back toward the water now, this exposed par 5 plays straight away with only a handful of bunkers in the way. The raised green slopes away on all sides, repelling most who try to reach in two. Hole #7 – 451 yards – This challenging dogleg left forces players to take the long route, hugging the right side of the hole. Hole #8 – 208 yards – I wish I had taken more photos around this green! 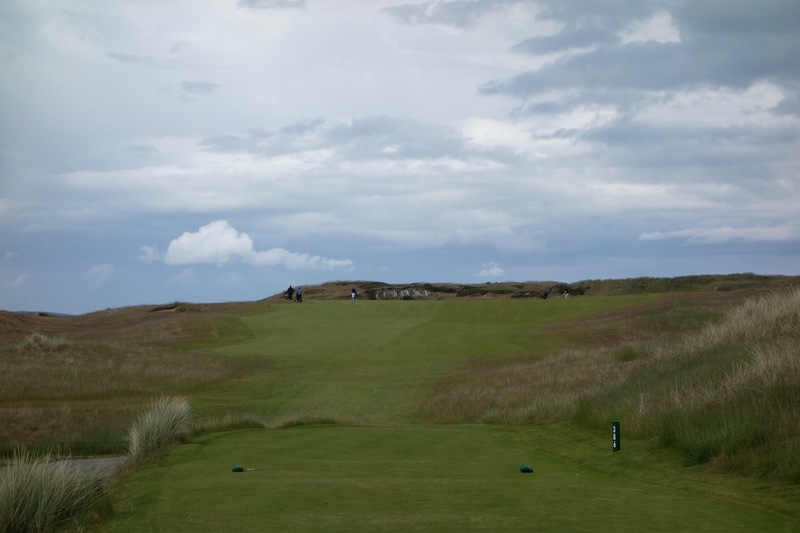 Although the hole is 200+ yards long, it plays much shorter in practice with the firm fairway leading up to the green. If you land a ball on the putting surface it will almost certainly run over the back. 175 yards at the center right of the green is the perfect play. 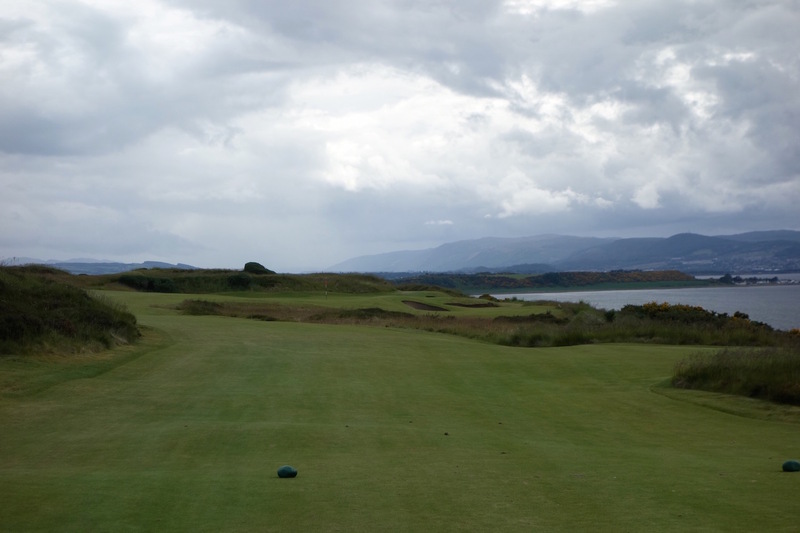 Hole #9 – 350 yards – Length isn’t the challenge here. Instead, the key is leaving yourself a good yardage into the sloping green with a massive false front. You don’t want to come up short! 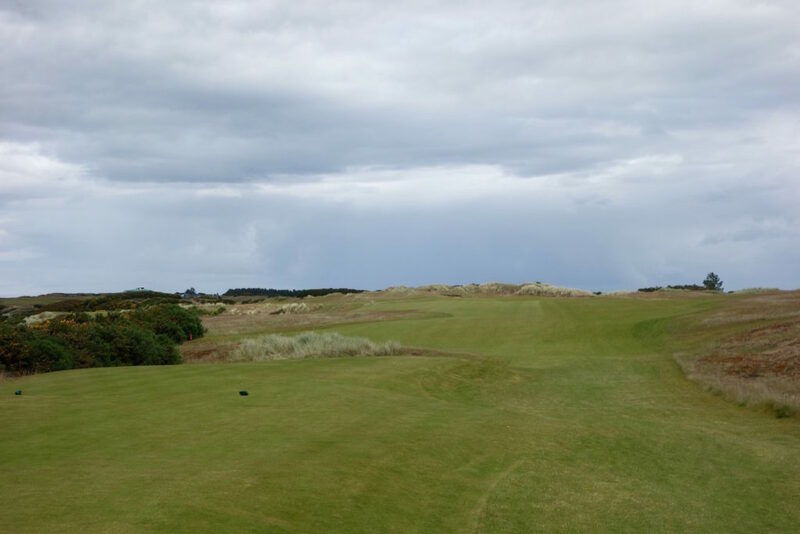 Hole #10 – 360 yards – The 10th drops back down to sea level (same elevation as 1st, 2nd, and 3rd holes). The right half of this fairway is the line off the tee, but avoid the perfectly placed fairway bunker seen in the second photo below. 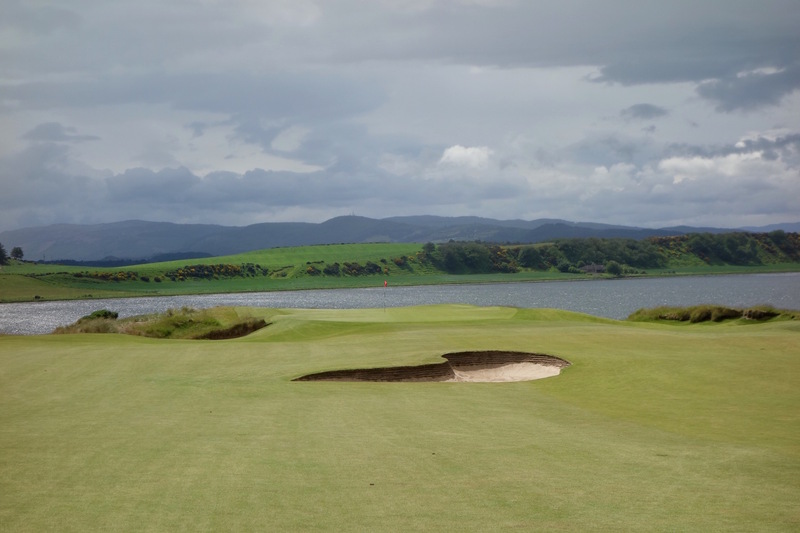 Hole #11 – 130 yards – This is one of the best short par 3s in Scotland. The view is breathtaking, but more than that, the hole is devilishly clever. The front bunker forces you to carry the ball onto the front edge of the green, but anything with much heat will run right over the back. I snuck out a par by playing to the back right corner of the green and then two putting from 35+ feet. Not sure how you’d get close to that front left pin… and it’s only 130+/- yards! 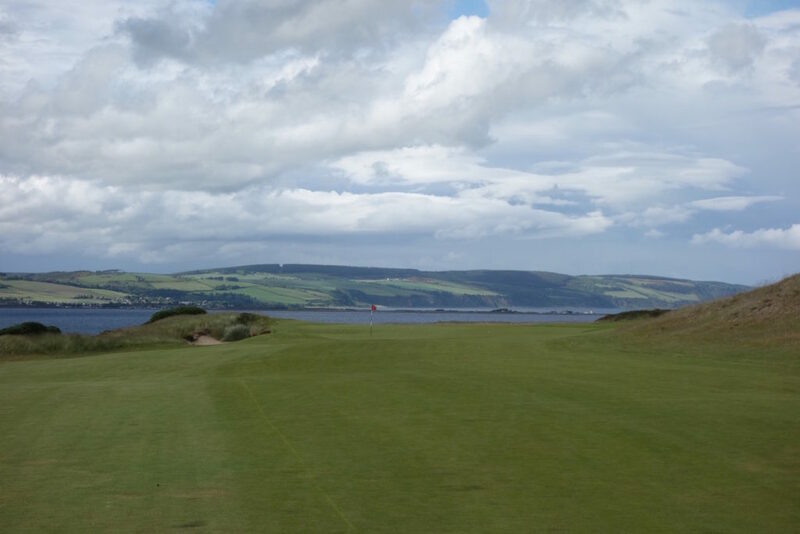 Hole #12 – 518 yards – Long hitters can nearly reach the top of the hill in this fairway from where the second shot is no longer blind. 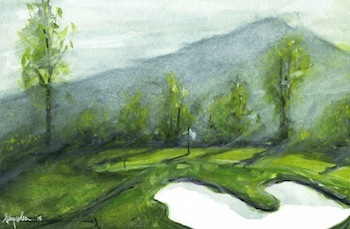 Most players have a blind second shot and a semi-blind approach to this green, where anything short and right kicks forward and down to the putting surface. 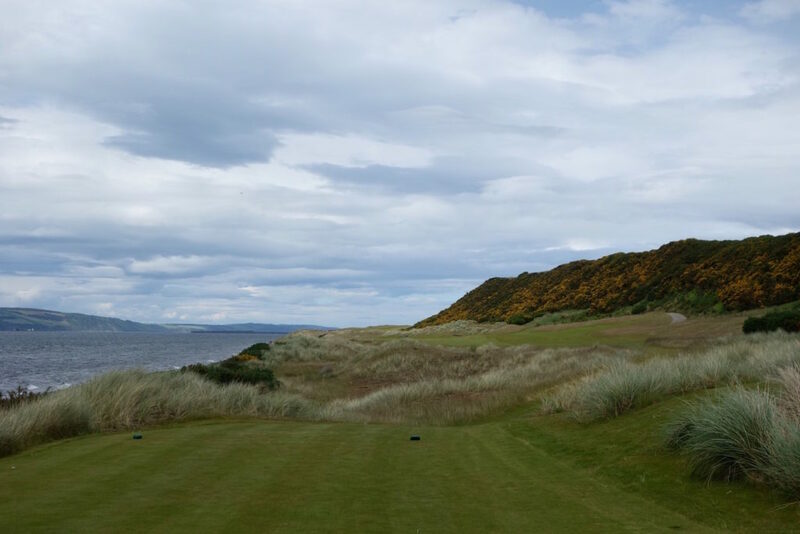 Hole #13 – 416 yards – The long uphill walk from the 12th green to 13th tee means you are back in the upper section of the course. 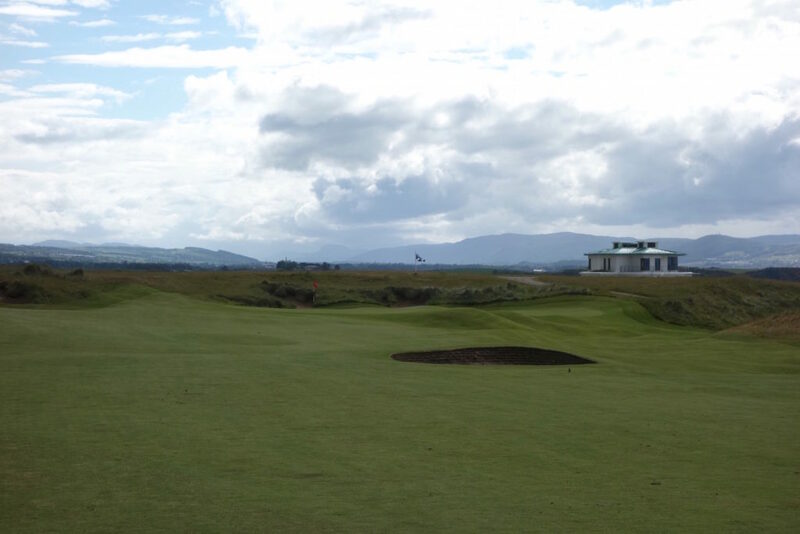 This hole is a dogleg right and mid-to-long hitters ought to play a cut off the bunker you see through the fairway. The sloping green is one of few gorgeous infinity greens on this back nine. The Kessock Bridge frames out the view perfectly. Hole #14 – 360 yards – This green is extremely long and allows for a huge variety of pins. The worst miss is off the right side of the green where getting up and down is almost impossible. Thank goodness for that “easy” front pin! 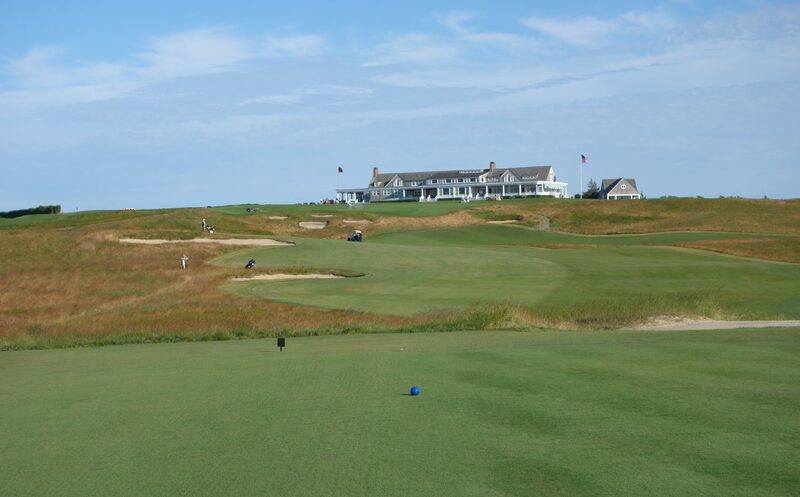 Hole #15 – 409 yards – An uphill tee shot that leads to another tremendous infinity green. Short and left is the bad miss on this green and smarter players stick to the right, uphill side of the hole. 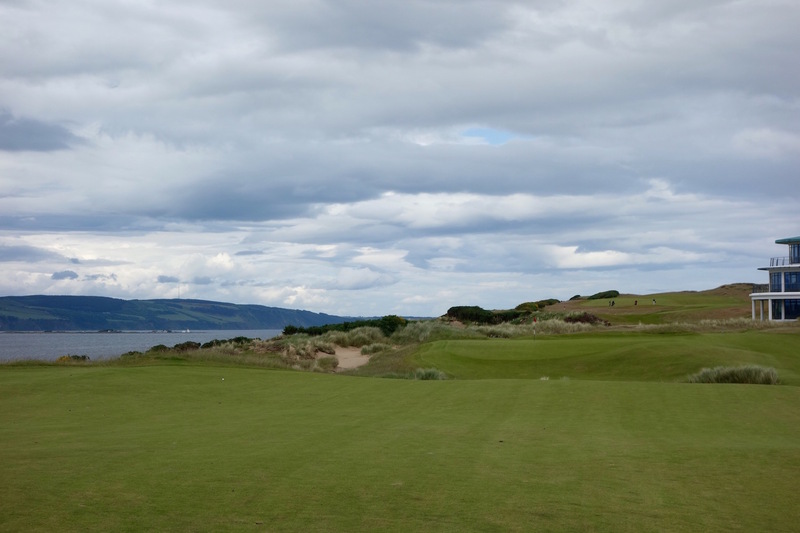 Hole #16 – 325 yards – This is reachable for longer hitters who can get a drive running up the right side of the hole. You find another beautiful infinity green here where again, the right side is the best place to be. Hole #17 – 210 yards – This tough par 3 has a forced carry element over some thick grass, although it’s more visually intimidating than anything. The left side of the green is the safe side with bunkers, thick grass, and gorse right of the putting surface. 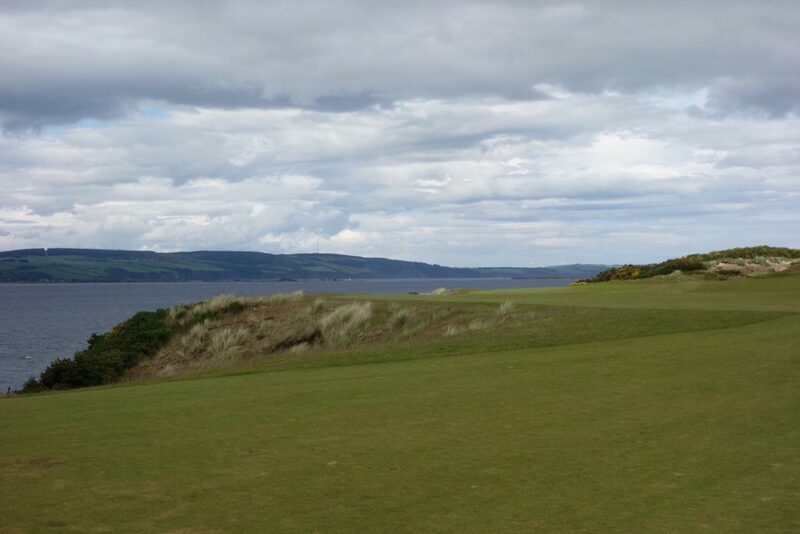 Hole #18 – 508 yards – The dramatic ending at Castle Stuart is a downhill par 5. 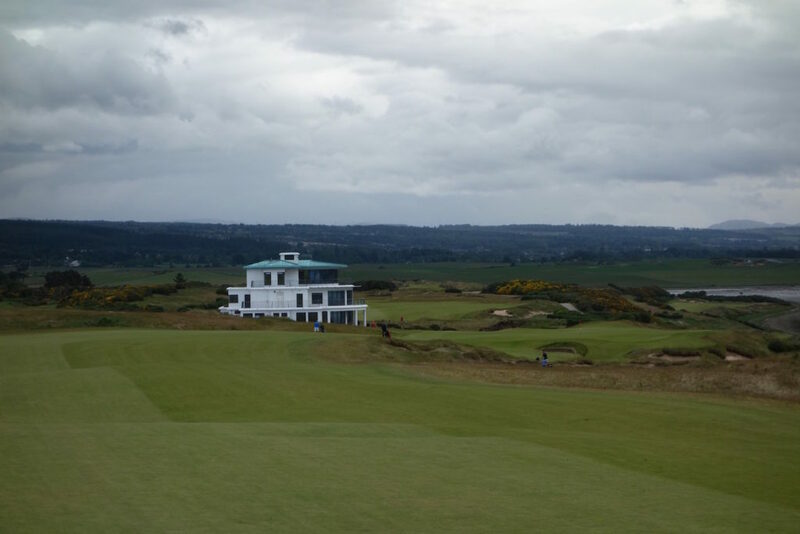 The best line off the tee splits the flagpole and the art deco-style clubhouse. 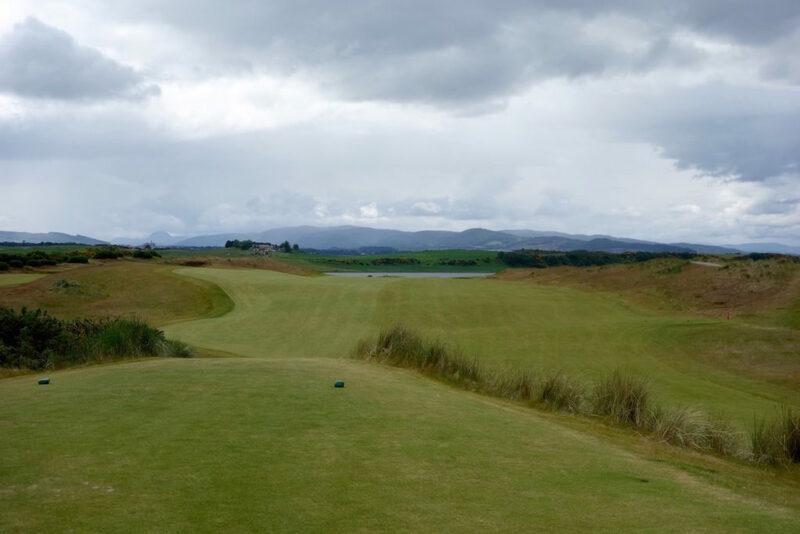 The hole slopes down and to the right, ending at the long, narrow green. The green provides perfect options for a final birdie opportunity or a tough Sunday pin on the far right. Anything short and right of the green is dead due to the steep slopes and another one of those evil revetted spots in the hillside that prevents running the ball. 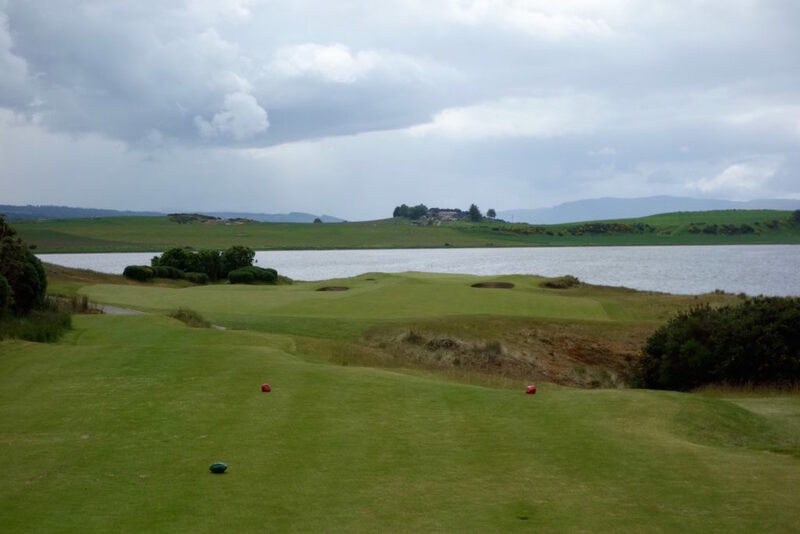 For the longest time my short photo-less review of Castle Stuart started with, “I hope to return to Castle Stuart soon to write a more complete review!” I am extremely happy to have finally returned and supplemented my good memories of playing a rainy frozen round with a sunny visit in the middle of the summer. In the list of modern Scottish courses with Kingsbarns, Machrihanish Dunes, Trump International Scotland, Renaissance Club, and others, I think Castle Stuart stands out as one of the best. Just back from Scotland…and can’t say enough good things about Castle Stuart. I was the first off the tee @ 7:40am on a crisp, cloudy Friday morning, and had the course all to myself. The staff are absolutely fabulous. Great service and hospitality. Good food in the clubhouse. Superb pro shop. 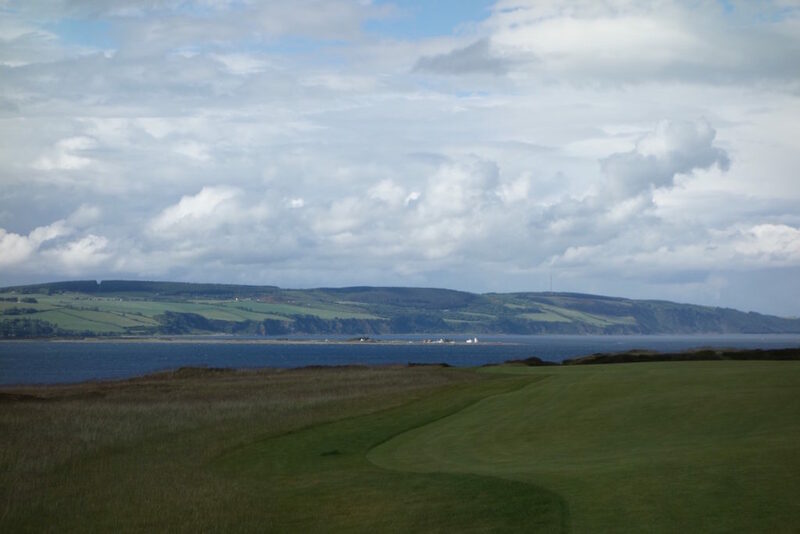 The links course is beautiful & incredible, perched right along the Moray Firth with spectacular views. Very, very challenging, especially the greens. 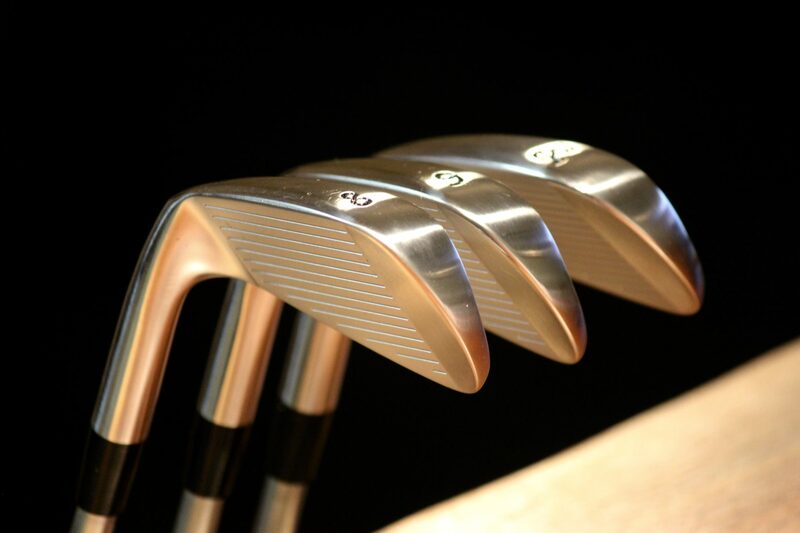 A 3 putt is very probable as it’s so easy to misread the breaks and speed. One note: I walked the course with a push trolley. The back 9 starts out elevated, so I have never huffed & puffed going uphill so much with a trolley in my life. Pretty sure I left one of my lungs up on hole #14! 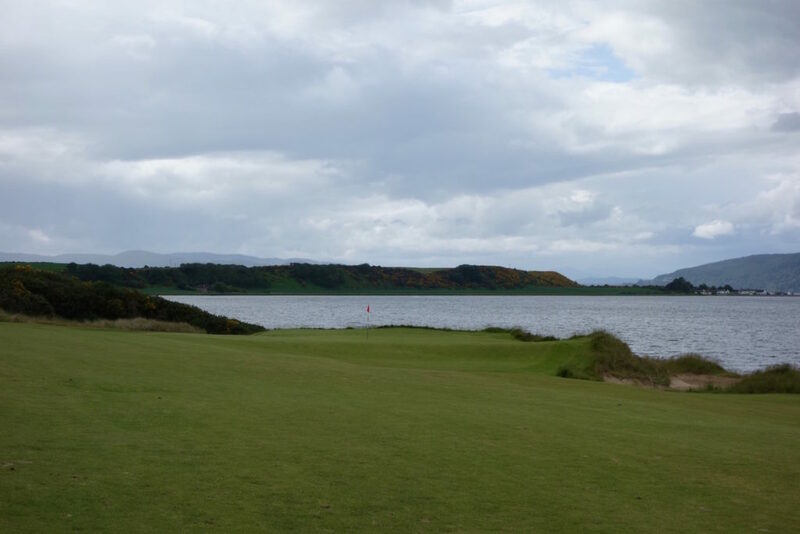 Highly recommend Castle Stuart. It’s about a 20-30 minute drive east of Inverness. But your round will be memorable. Not cheap. £190 pp. Worth it. There’s a reason why it’s rated #56 in the world in such a short time. 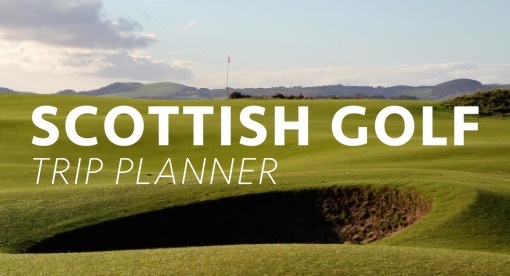 Scottish Open plays there in July. 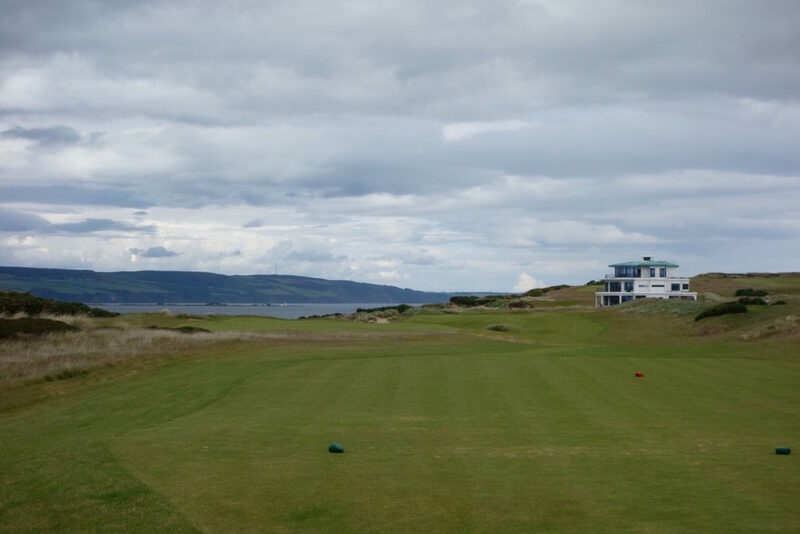 Castle Stuart is what golf should be. 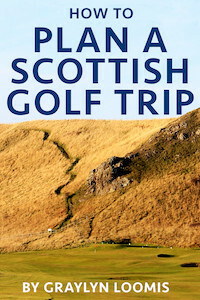 It is THE best new course in Scotland in my opinion. The fairways are massive, miss one of these and you have really missed your shot. But they are massive to take account of the differing conditions. With the course being really exposed to the elements the wide fairways are a crutch that you need in a 40mph wind. 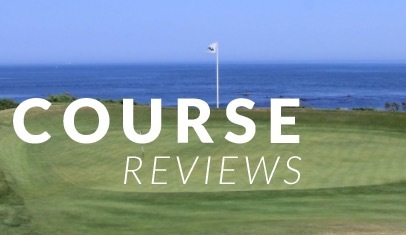 You have to hit the correct spots on the fairways to have a realistic approach to the greens or pins. 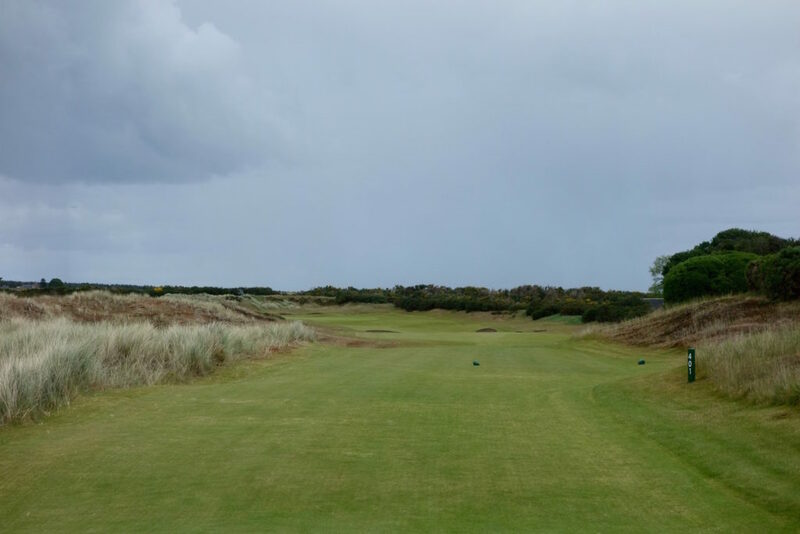 The 7th hole is the best example where its a short par 5. Hit the fairway and you’ll reach in two. Miss the green in two and you will most likely have to settle for 5 at best. If you take the lay up option you need to miss the bunker slap bang in the middle of the fairway. Lay up short of that and you still have 14 yds into the wind on a very tight green. 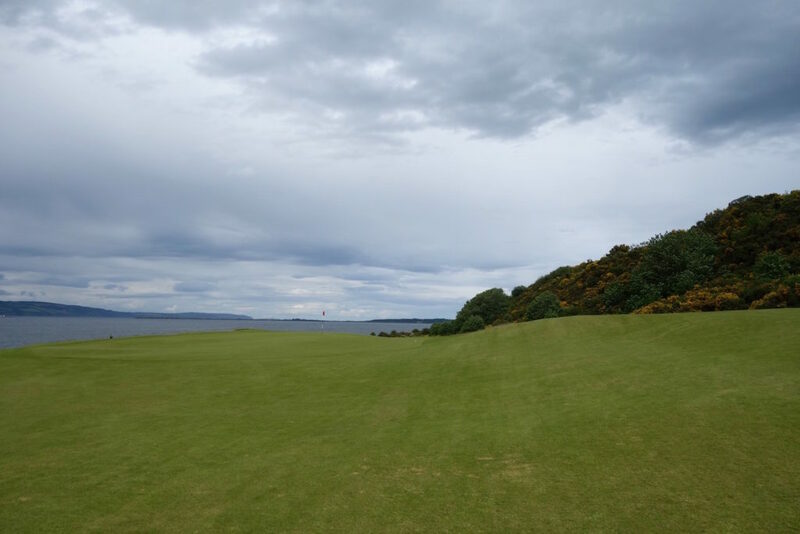 Left or right (but still on the fairway) and you now don’t have an angle to get to anything other than the front of the green. Its genius architecture. The course is one of the best but it’s even overshadowed by the staff. 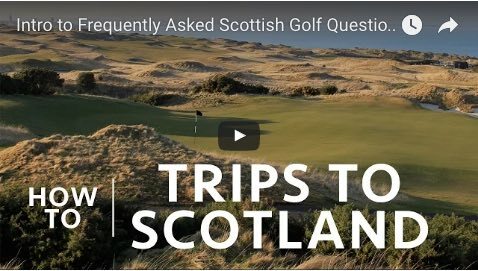 People in this part of Scotland are particularly friendly but the staff at Castle Stuart treat you like a long time friend without ever over stepping the mark of cheekiness of cockiness. I hit driver on #3 and went past the left side of the green right into the hazard. 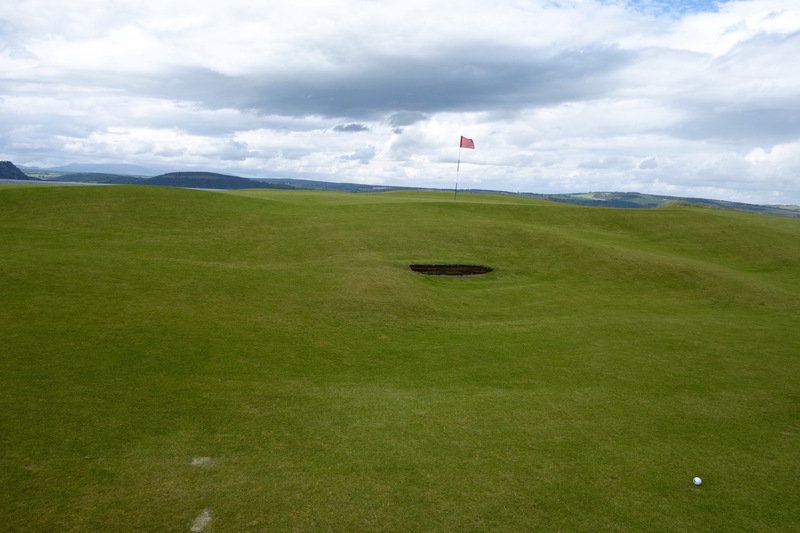 I love the course as it has little details, like sideboards and eyebrows which are lacking at Kingsbarns. 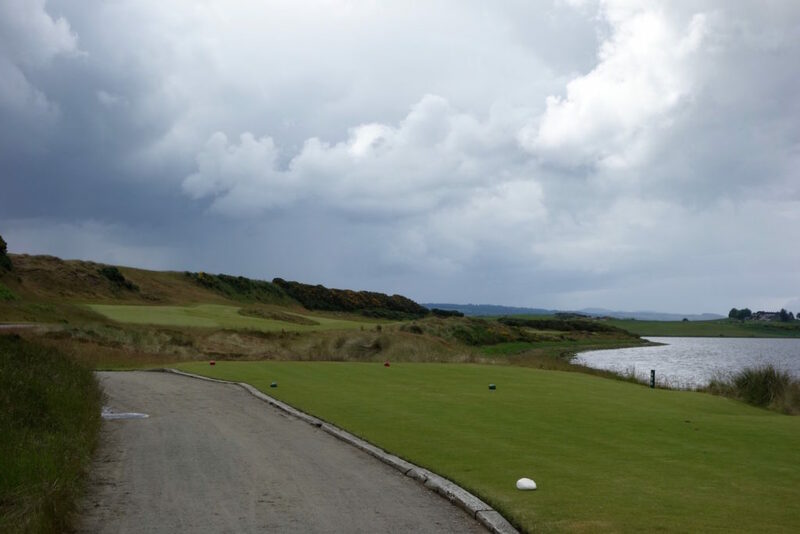 Castle Stuart is a better finished product. My only gripe is that he’ll is uphill climb after the 12th.